I thoroughly enjoyed Tim\'s guided tour through Trainspotter\'s Leith. Not only did I learn a lot about Irvine Welsh\'s novel (of which I thought I knew quite a lot already), but I also found out many, many interesting facts about Leith which can\'t be found in guide books. Great fun and insightful. Highly recommended. 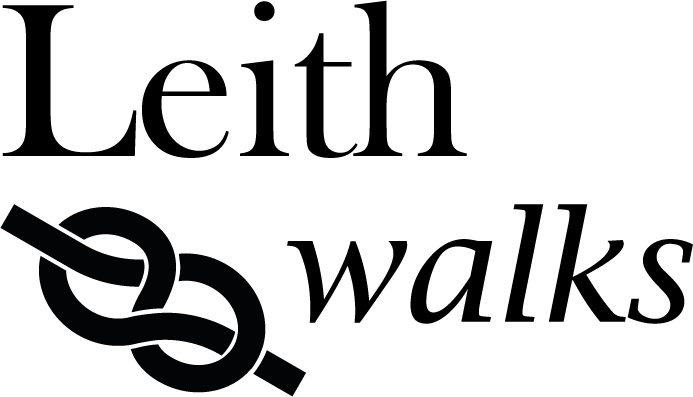 Tim took us on a walking tour of Leith that encompassed its socio-economic – and indeed, political – history just as much as it encompassed the physical setting of the streets of Leith and the background to the novels of Welsh. Seriously well worth attending if you ever get the opportunity – Tim’s enthusiasm and frankly phenomenal storehouse of knowledge make it something far more than simply a novel way to spend a couple of hours. Highly recommended! Tim is a passionate, knowledgable and entertaining host as he guides you round Sunny Leith (it really was sunny, too!). He intersperses the stops en route with appropriate readings from a spectacularly well-worn copy of assorted Welsh books and gives colour to sites that might otherwise escape the casual visitor with knowledge either of the books, the film or just the local history of Leith, a place he\'s lived three decades and clearly really appreciates. If you, like me, have imagined the kinds of places that Renton, Spud et al conducted their shenanigans then take the opportunity to experience some of it for real. As we sat on the bench Spud sat on near the dole office inspired by a Swan we even saw a pair of swans appear right on cue. In addition to the tour Tim marked out points of interest on map he gave us (including the worst toilet in Scotland - in Muirhouse) so we were able to extend the tour a little on our walk back to Edinburgh from Leith. If you\'ve more than a passing interest in Trainspotting and in the area then this is an absolute must-do trip. Really looking forward to Tim\'s book coming out. Having been a fan of Irvine Welsh\'s books for many years, the streets of Leith have loomed long in my imagination - and so when I stumbled upon Tim\'s website it seemed a good excuse to travel up to Scotland and see some of the places for real. Would thoroughly recommend taking one of Tim\'s tours - he\'s an incredibly engaging and knowledgeable guide. In fact, the best tribute I can pay to him is that my wife found his tour fascinating despite the fact that she\'s never actually read any of Irvine Welsh\'s books! Tim is the Maven of Trainspotting and of Leith, and delivered a highly entertaining tour. Combining visits to the most relevant sites around Leith, he brought fascinating context to the story and characters of the book. I only wish I had time for the full tour. This tour is unmissable for Irvine Welsh fans or those keen on learning about Leith. Tim, best of luck with the book. I spent a weekend in Edinburgh at the start of March and contacted Tim for advice about a tour. I have read all the Irvine Welsh books and asked Tim to give me some pointers on places to go that I would recognmise from the books. He very kindly did me up am itinerary for a walking tour from the Foot of the Walk and also shared with me an essay he had written on Leith, its history and the relevance of trainspotting. I found this very useful and it really enhanced my experience there. I also went for a Friday lunchtime pint in The Port of Leith, on Tim\'s recommendation. Great little pub. As a born and bred Leither and proud of it I was horrified by the success of Trainspotting. I had only seen the film dubbed in Spanish. However yesterday, 13th March I joined one of Tim\'s Trainspotting tours and it was an enlightening experience. Putting the book into is socio political context, changes that had taken place in my own life time while living in Leith helped me enormously, so much I am now going to read the book now that I understand why it is called Trainspotting. I hadn\'t been aware of the plans for Leith Station and was sad to learn of its loss and the potential it had as something iconic. My girlfriend and I were in Edinburgh in 2010 and took this tour - loved it! Tim is a great guide, and it\'s definitely a great way to learn a little about Leith. As an American who\'s read pretty much everything Irvine Welsh has written I came into it thinking I had a good feel for what the place is like, but there\'s nothing quite like getting an \"insider\" view. Would definitely recommend it to anybody who\'s a fan of Welsh or just wants to explore Leith! This tour is a must do for anyone who wants to know more about Edinburgh than the beaten track and tourist trap stuff like the Castle, Princess Street etc. We (Dutch lads who are visiting Edinburgh every year for the football, Hibs ofcourse and Sixnations rugby) really enjoyed an interesting tour with a guide who knows everything about Leith and more. Thanks Tim! My wife Kerri and I had the good fortune to discover that Tim was giving walking tours in Leith just before our trip to Scotland in 2006. I\'m a huge fan of Irvine Welsh\'s books and the Trainspotting film and booked a tour immediately. I had no idea at the time, however, how exceptional the experience would be. In the end - I got to see a unique real-life corner of the world that would have otherwise been completely unreachable for a random guy from New York City... and see it in explicit detail. It\'s always captivating to witness an expert at work and Tim is an expert among experts. If you have any interest at all - book a tour without a second thought. P.S. don\'t forget your camera like we did. >_< doh! At least I\'ve got the memories and the 6 pages of notes in the back of my copy of Trainspotting that I just had to put down hours later thanks to the jetlag. The tour was brilliant and we got a whole new insight into the full canon of Irvine Welsh, not just Trainspotting. A couple of weeks ago my friends and I went on the Trainspotting tour. I always imagined I knew a fair bit about the book, but I was wrong. There was so much still to learn and Tim Bell’s tour is THE way to get ‘enlightened’. Anyone who loves this book (or any other Welsh book set in Leith) will love this tour! Tim Bell is also a great reader and really brings the book to life! Hello! I was lucky enough to attend the trainspotting tour on November 14th. I had listened to the audio book (I had no chance of reading it because of the strong diolect) and watched the movie and was really excited for the tour. I was not disappointed. The tour was fantastic, I learned a lot about the origins of the book that made it more real and made me able to relate to the charactres in trainspotting more. It was also really amazing to see parts of Edinburgh that I had never seen before and learn about its history. Tim also read aloud from the book, and explained all of the slang that Irvine Welsh used. All in all it was an amazing tour, and I would love to learn more. Thanks a lot!